Lot:8013 1788 Massachusetts Half Cent. Ryder 1-A, W-6000. Rarity-4+. MS-63BN (PCGS). 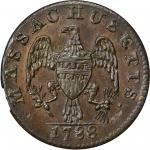 1788 Massachusetts Half Cent. Ryder 1-A, W-6000. Rarity-4+. MS-63BN (PCGS).83.3 grains. Dark chocolate brown surfaces with nuances of lighter brown in some of the field areas. One tiny spot of orange remains over the final S in MASSACHUSETTS. A bit of light surface grime is evident, but beneath it there appears to be nice luster throughout. One faint scratch is noted in the right obverse field, as is another tiny mark, but otherwise this piece is free of such distractions. A bit of trivial planchet roughness is seen at the periphery which appears as made, as the planchet seems to have been poorly prepared. Sharply struck with crisp definition through the centers, but just a trifle softer closer to the rims. Quite handsome and called Condition Census when we last sold it in January 2003; it almost certainly would still be considered such today.pThis is essentially the equal of Ford’s. 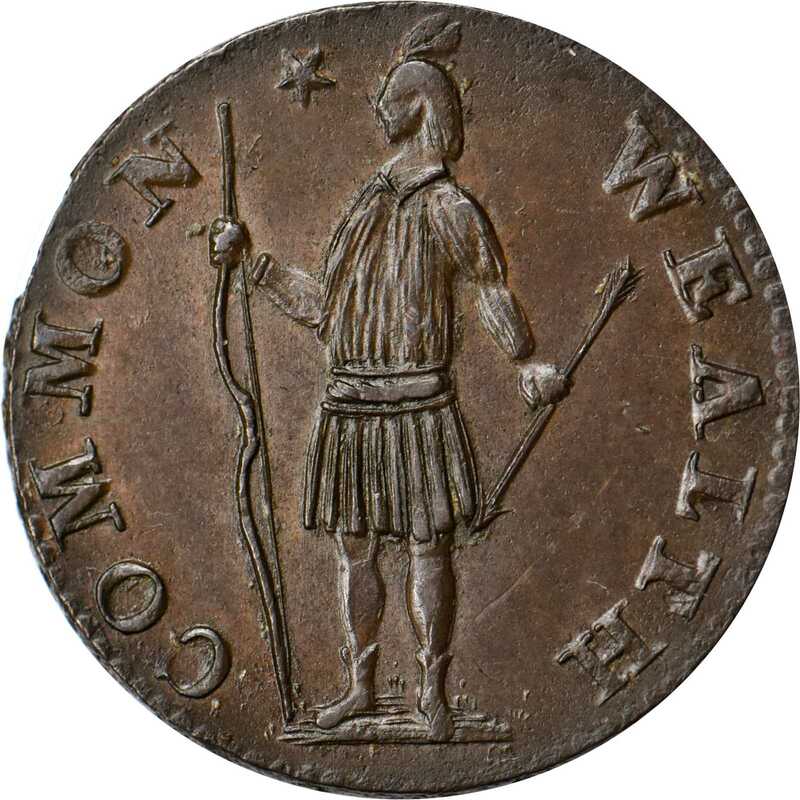 That coin is now graded MS-63 by NGC and last appeared for sale with the Partrick holdings. It brought $12,925 in January 2015. The Ford-Partrick coin was a bit lighter in color, but not nearly as nicely struck as this one. It also had the faint peripheral planchet roughness seen here. The offered half cent is certainly nicer than the Taylor, Norweb and Newman coins, and Garrett didn’t have the variety at all. 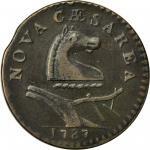 An outstanding representative of this scarce variety, the rarest of the two 1788 half cents, rarely seen in grades above Extremely Fine.From the Twin Leaf Collection of Connecticut & Massachusetts Coppers. Earlier ex B.G. Johnson (St. Louis Stamp and Coin); Hans Schulman, April 1951:1054; Robert Schonwalter, Stack’s, January 2003:1033.